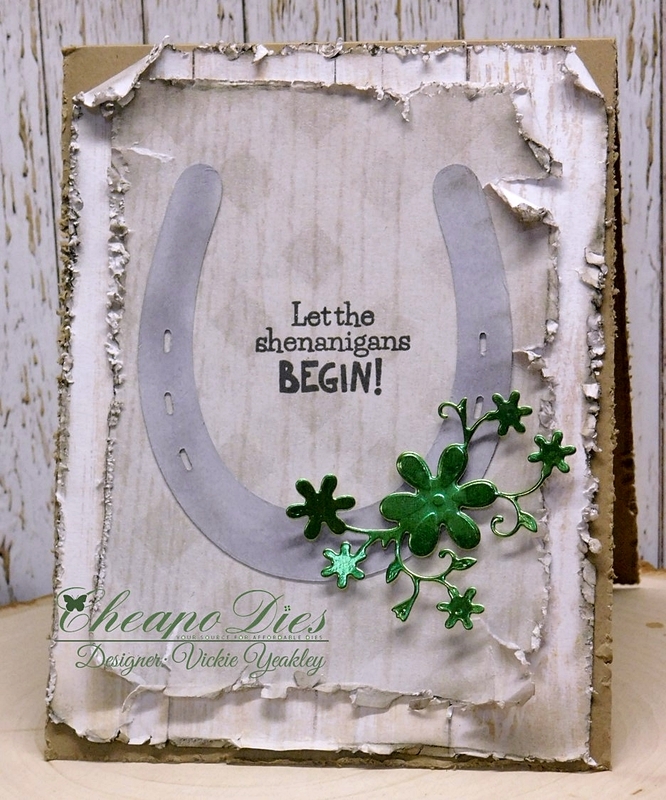 Vickie Y sharing a fun "shenanigans" card using the Exclusive Lucky Horseshoe Cheapo die. Love that this die set includes the horseshoe and the floral flourish as 2 separate dies. 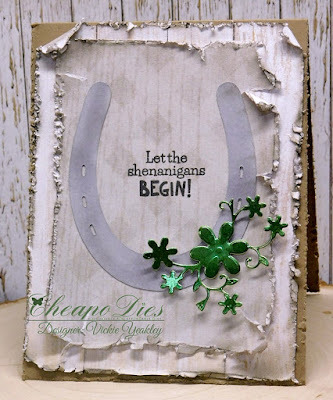 For my card I distressed the edges of both layering panels and used a stamp from Art Impressions for the sentiment in anticipation of celebrating St. Patrick's Day in March. 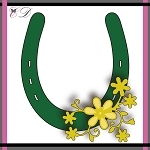 The horseshoe was cut using white cardstock and colored using Copic markers; the floral flourish was die cut using green metallic cardstock.